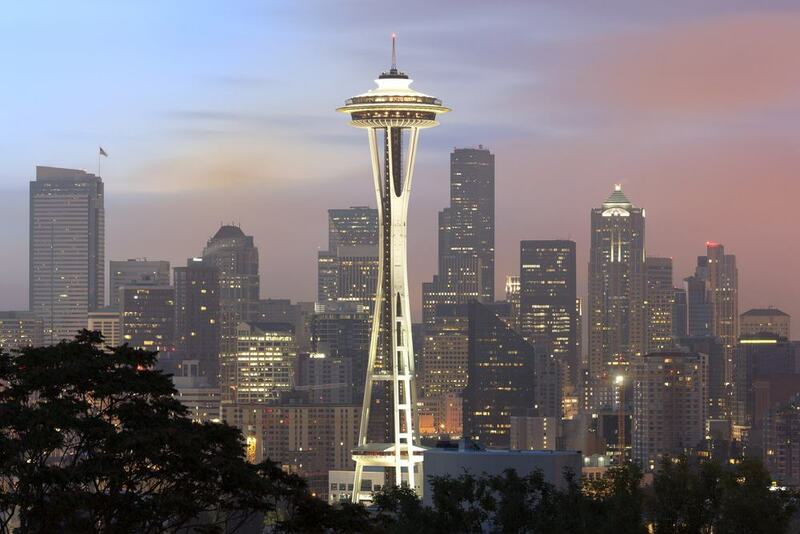 Downtown Seattle may have been founded in the mid-nineteenth century and have a history which dates back to the gold rush days, but it is a surprisingly modern metropolis with only around two dozen historic buildings within its boundaries. What DT Seattle lacks in historical buildings, it makes up for with skyscrapers including one with a staggering seventy-six floors. Seattle may be the home city of Starbucks, but in Downtown Seattle, there’s more to do than sitting around drinking coffee. Facing out onto the wide expanse of Eliot Bay, Downtown Seattle has a unique waterfront which functions on both a social and industrial level. 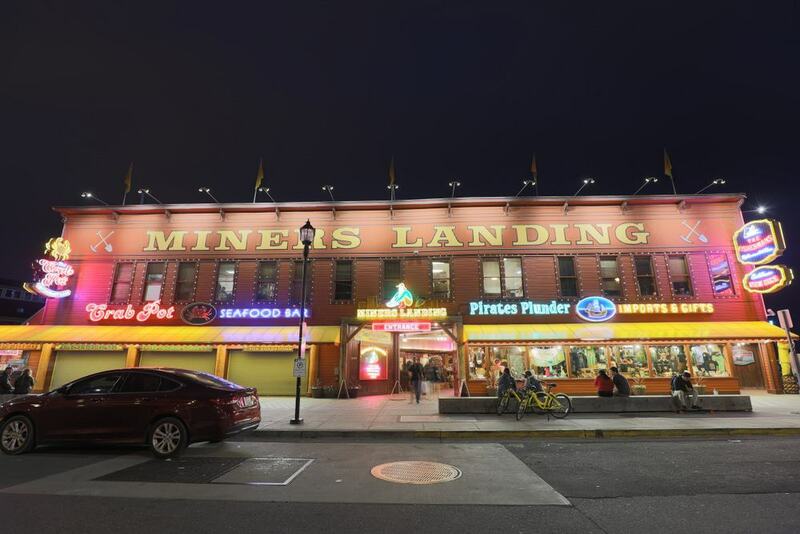 Watch cargo ships being loaded while revolving on one of the US’s biggest Ferris wheels or stroll along the pier and stop off for a feast of seafood before having your palm read under the glassy-eyed stare of shrunken heads. There’s only one word to describe Downtown Seattle, and that’s diverse. Check out these fifteen of the best things to do in Downtown Seattle, and you’ll find out just exactly diverse it is. 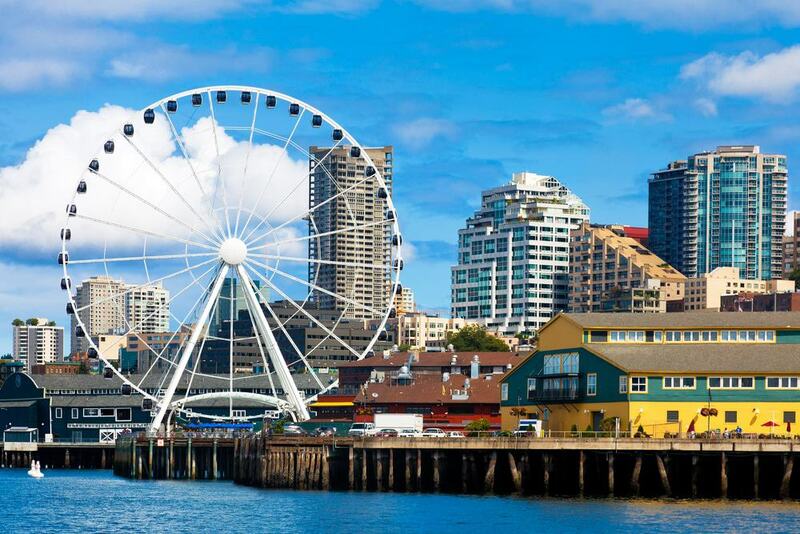 The Seattle Great Wheel is a one-hundred and seventy-five-foot tall Ferris wheel on Pier 57 of DT Seattle’s central waterfront. Sit in one of the wheel’s forty-two gondolas, rise into the sky and see amazing views of the downtown skyline and right out across Eliot Bay. Rides on the wheel last between twelve and twenty minutes with a guaranteed minimum of three full revolutions which is more than enough to take in all the sights and snap lots of photos too. For an extra special ride, take the VIP gondola which has a transparent glass floor and comes with a drink plus a souvenir t-shirt included. Time your visit with the sunset or do it after dark. It’s a magical ride. 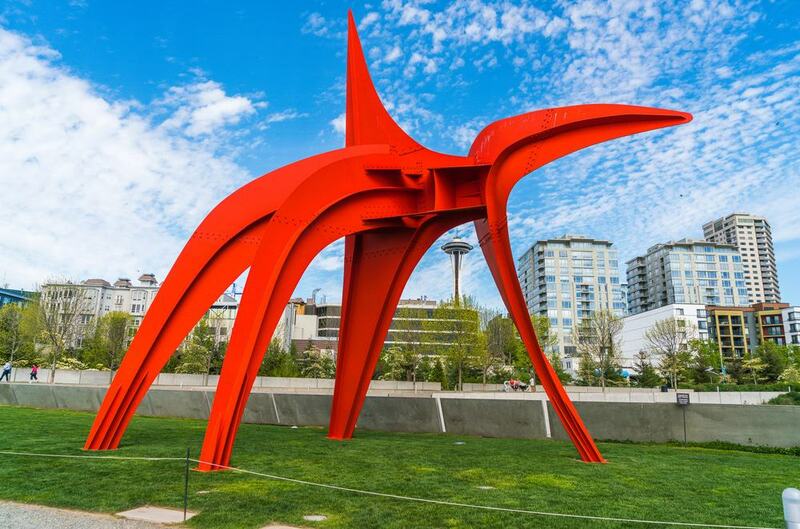 Art and the outdoors make a unique combination at the Olympic Sculpture Park on Western Avenue in Downtown Seattle. This unusual public park covers eight and a half acres of ground with geometrically sloping paths winding around twenty distinct sculptures. The varied artistic creations include a vivarium with fungi and moss growing on a tree trunk, benches which represent eyes, fountains with twin jets and a colorful glass bridge. The park has a narrow stretch of beach facing out onto the bay which is the perfect place to sit and ponder the significance of the park’s sculptures. There is also a small auditorium for open-air events. Pike Place Market, one of the oldest established farmer’s markets in the US, has been operating in Downtown Seattle since the early 1900’s. The market on 1st Avenue is close to the waterfront and has impressive views out over the bay. Browse the alleyways of stalls full of fresh produce being sold by Washington farmers before touring the two hundred or more shops and over eighty restaurants. Open every day; the market is a hive of activity where it’s possible to take a cooking class with a professional chef, a guided walking tour or watch an artist at work in one of the numerous studios. 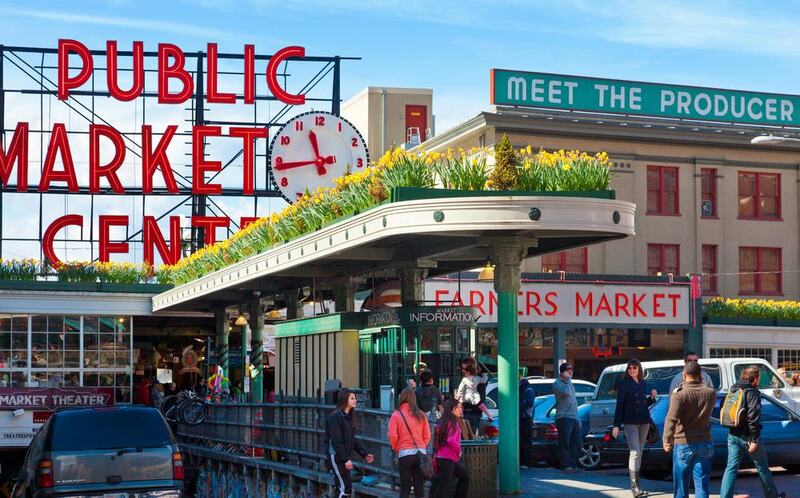 Pike Place Market is a Downtown Seattle tradition. Don’t miss it. Board an open-topped boat on Pier 55 for a tranquil one hour sail around DT Seattle’s harbor. While navigating around Eliot Bay, a guide narrates interesting historical facts and anecdotes about Downtown Seattle, the bay and Puget Sound. 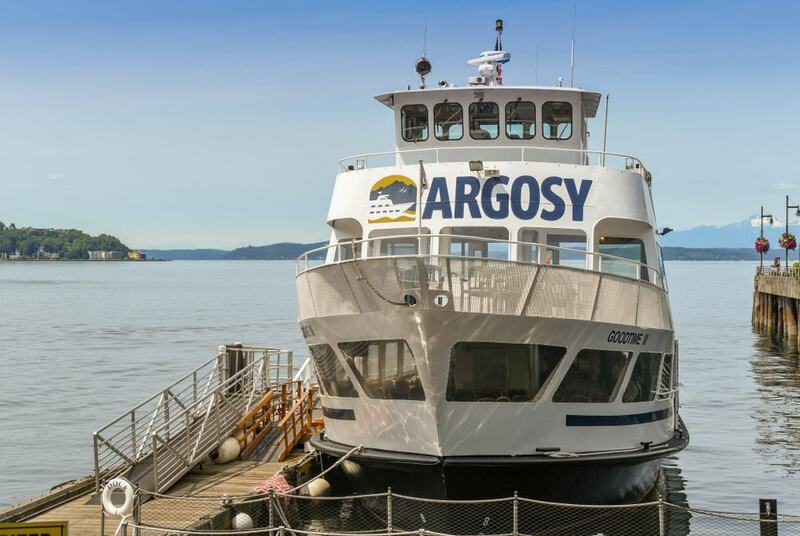 The sailing takes in the busy cargo ship area before heading along the waterfront where you’ll have amazing views of Downtown on one side of the boat and from the other, you’ll be able to see right over to the Olympian and Cascade mountain ranges. Just stunning. 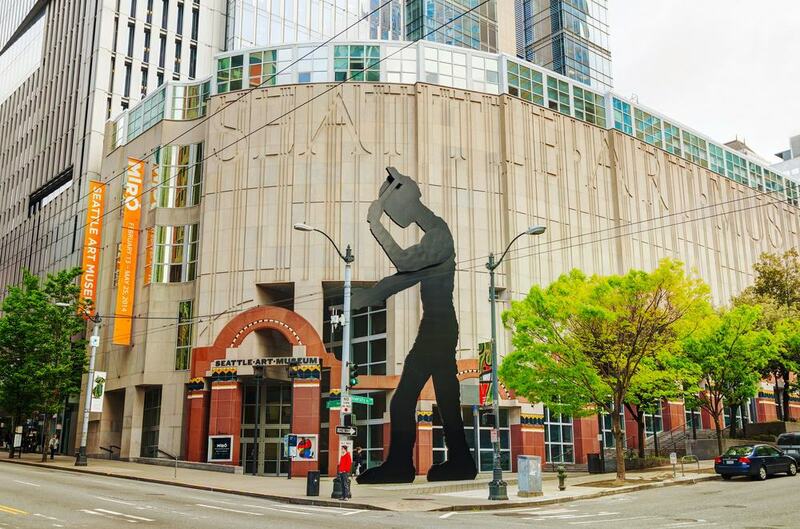 The Seattle Art Museum is an unmissable building on Downtown Seattle’s 1st Avenue. In front of the museum stands an impressive, fifty-foot tall metal sculpture called the Hammering Man. The statue, which has an automated arm, is one of a worldwide series representing workers and their labors. It swings its hammer four times a minute and makes a great Instagram shot. Inside the museum itself, there are several floors of exhibitions which contain collections from around the globe. There are examples ranging from ancient American art to Australian Aboriginal creations as well as contemporary pieces presented in multiple formats. In Downtown Seattle seafood reigns on the restaurant menus. For a rustic but tasty experience try the Crab Pot down by the waterside on Pier 57. The Crab Pot has starred on the TV program Man V Food and is well known for its Seafeasts. Ask for an Alaskan and expect a massive plate full to overflowing of every type of seafood the ocean has to offer topped by crab, crab and more crab. Don’t expect deluxe surroundings. There are paper cloths on the tables, a worn tile floor and you’ll be wearing a bib. Yes, eating crab can be a messy business. The Spheres are three enormous glass globes at the Amazon HQ building on 7th Avenue in Downtown Seattle. They were created as an innovative workspace for the company’s employees and contain around forty thousand specimens of cloud forest plants. It’s a living jungle in the middle of DT Seattle. 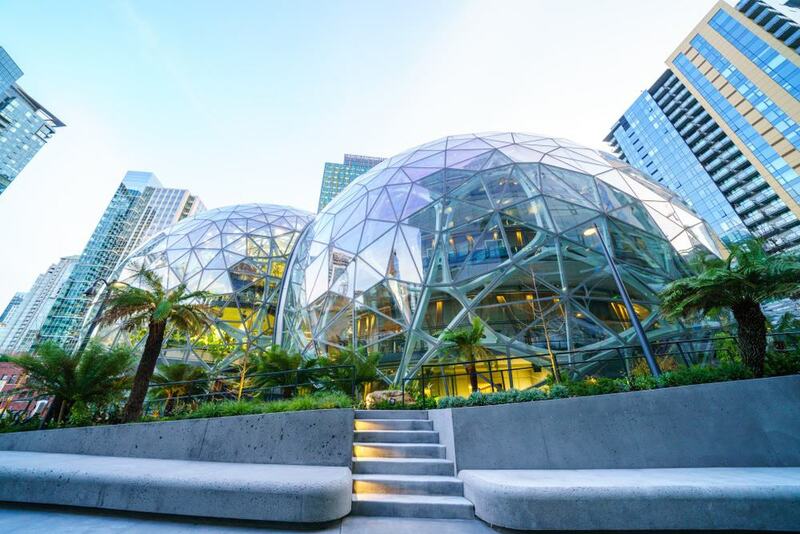 While at the Amazon HQ, take a tour of the Understory and find out all the facts about the spheres and how they were created. While the Understory is open to the public seven days a week, the Spheres aren’t. The Spheres are only open for viewing on two Saturdays every month and you’ll need to make a reservation beforehand. Take a full Amazon HQ tour, and a visit to the Spheres is included. The Diller Room is a speakeasy-style bar on Downtown Seattle’s 1st Avenue. 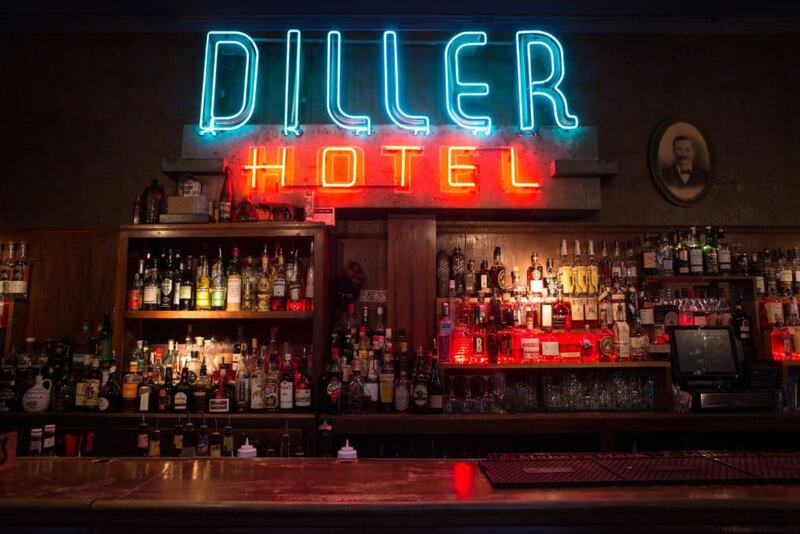 The bar occupies what was the foyer of the Diller Hotel, a regular stopping place for pioneers to stay when traveling to and from the Klondike during the gold rush. The bar has a hide-away atmosphere in keeping with the speakeasy theme and is decorated with polished wood and bare brick reminiscent of an old-world British pub. Choose a cocktail from the Diller Rooms extensive drink list, sit back on the padded leather seating and it’ll be easy to imagine you’re back in the days of prohibition. The Klondike Gold Rush Museum is a two-story building on 2nd Avenue in Downtown Seattle. At the museum, it’s possible to explore the effect of the gold rush on Seattle through the multiple exhibits and memorabilia pertinent to the era on display. Get to know true characters of the times by watching three short film presentations, discover who the Buffalo Soldiers were and see how gold is panned in a live demonstration. The Gold Rush Museum may be small, but it’s a fascinating insight into what made Seattle the city it is today. 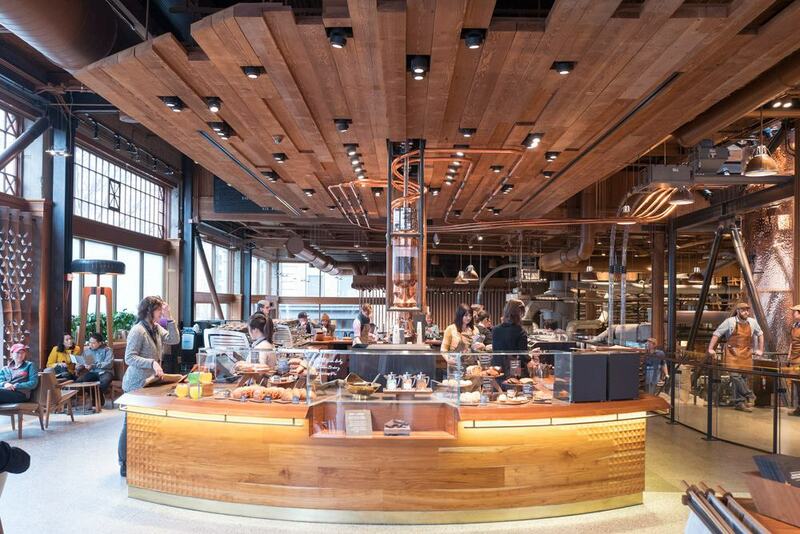 Be immersed in the origins of today’s coffee culture by visiting the Starbucks Reserve and Roastery on Downtown Seattle’s Pike Street. Observe the entire coffee making process from the arrival of the beans in sacks, their passage through the loading pit then watch as they’re roasted before finally ground. Enjoy the end product served in one of the many variations from everyday espresso to a triple eight-ounce package of clover brewed reserve blends. You’ll leave totally coffee educated. Want to visit the very first Starbucks store? It’s just nine blocks away from the roastery in Pike Place. Walking from one to the other will help lower your caffeine levels and you’ll be ready for more. There’s fun to be had in the weird and wonderful. 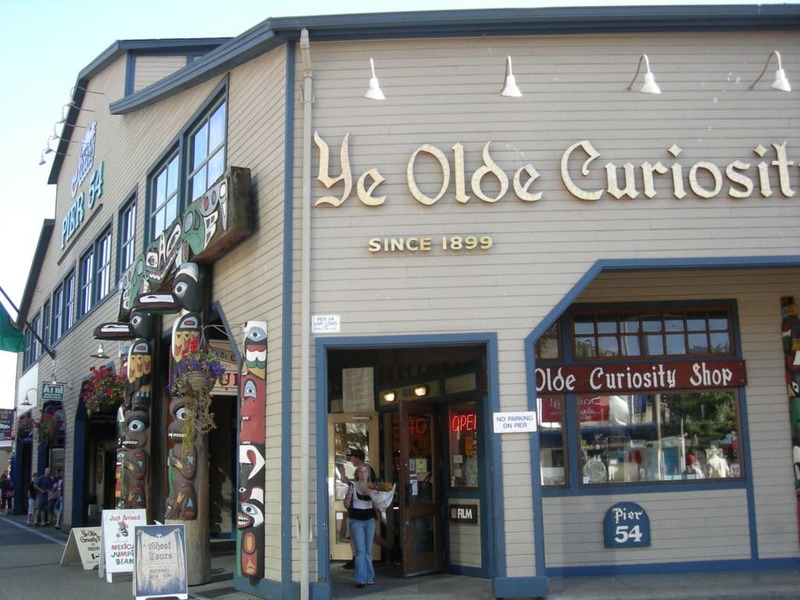 Pop into Ye Olde Curiosity Shop at Pier 54 on DT Seattle’s waterfront to explore the curious and macabre. The part museum and part store delights in the darker side and oddities. Be terrorised by the open-mouthed petrified mummies, grossed out by the collection of shrunken heads and bemused by two-headed animals or four-legged chickens. Want to know what the future holds? Drop a dollar into the palm of Estrella, the Gypsy Fortune Teller and wait until she delivers you a card with your fate printed on it. While the Space Needle is just outside of Downtown Seattle’s boundaries, it’s the place to go to get the most incredible views of DT. The six-hundred and fifty-foot tower is the iconic landmark of the city and looms above the buildings around it giving uninterrupted, breathtaking vistas out over Downtown, the waterfront and to the mountains. The Needle’s lower deck has a glass floor which revolves and the upper deck has floor to ceiling glass-walls with transparent benches where you can take unbelievable selfies with nothing but the city in the background. If you’re brave enough to try it, do the virtual bungee jump. It’ll take your viewing of Downtown Seattle to a completely new level. 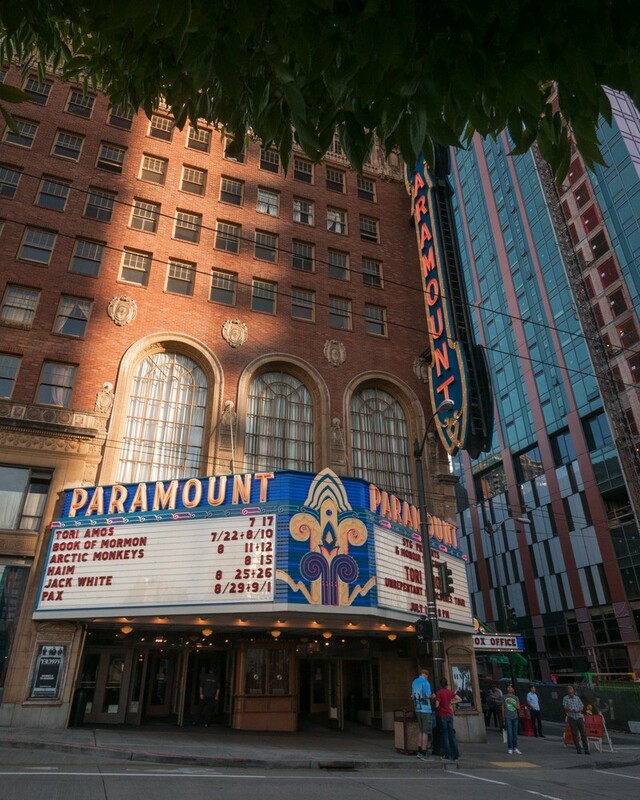 The Paramount Theater is housed in one of Downtown Seattle’s historic buildings and first opened in the late 1920’s as a cinema and music hall. Now a luxurious, multi-purpose performing arts center, the theater’s interior has an elaborately ornate high ceiling, balcony and a seating capacity for almost three thousand spectators. The theater, which is on Downtown’s Pine Street, regularly hosts major Broadway shows, concerts, productions for television and musicals such as Cats, the Lion King and School of Rock. The exhibitions are all hands on and you can play on as many as you want. Don’t expect a quiet visit. There’ll be flashing lights and ringing bells along with the occasional cheer when a high score is reached. 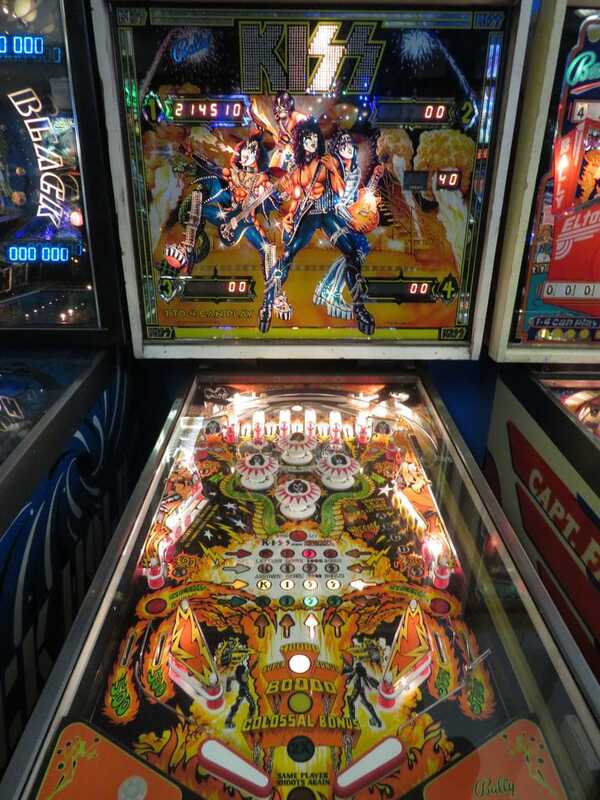 Pinball is a fun and surprisingly addictive game. You could be there for a while. If you work up a thirst, refresh your playing power with one of the museum’s vintage sodas. 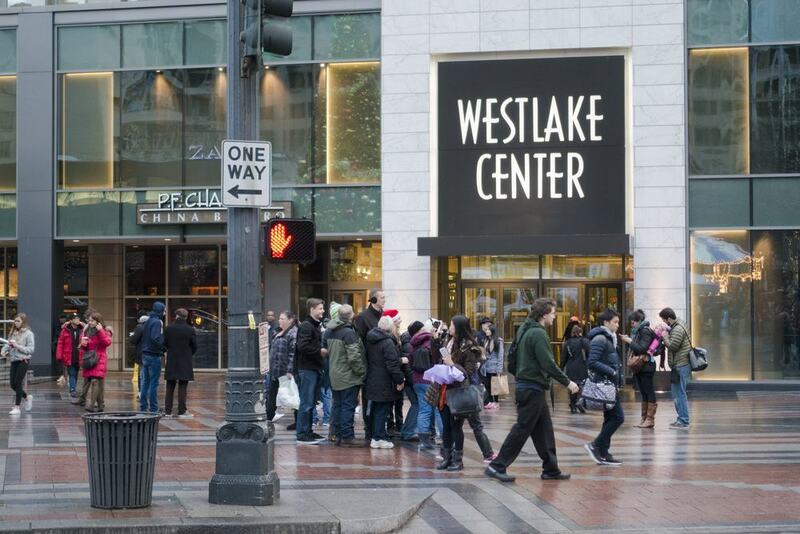 Shop until you drop at Downtown Seattle’s four-story shopping mall the Westlake Center. 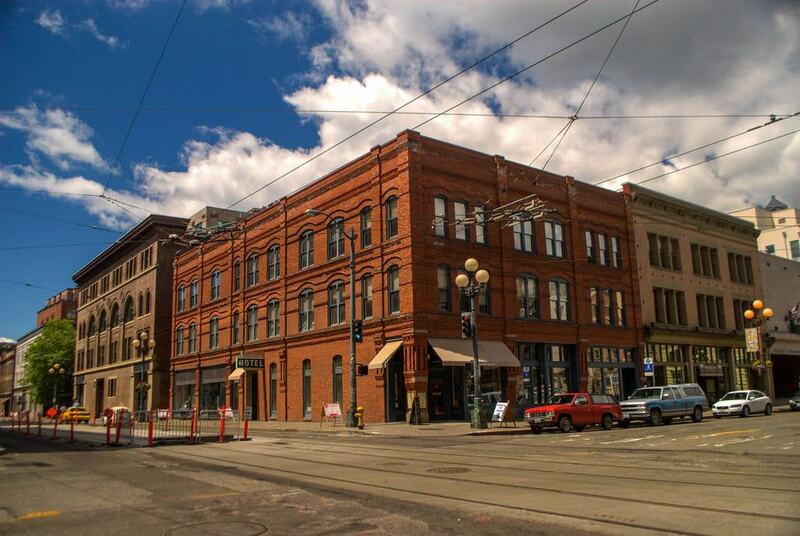 Located on Pine Street, the glass-fronted commercial complex houses top name shops and eateries. From high-end jewelry stores to handmade cosmetics to designer clothes, there’s not a shortage of different outlets to browse around. When you’ve had enough retail therapy, stop off for a fresh juice or that all-time Seattle-born tradition, a coffee at Starbucks. Enjoy!